A boy and his horse. Regardless of the fact that it’s a sequel, The Black Stallion Returns (1985) thrives on the relationship between a boy and his beloved horse. 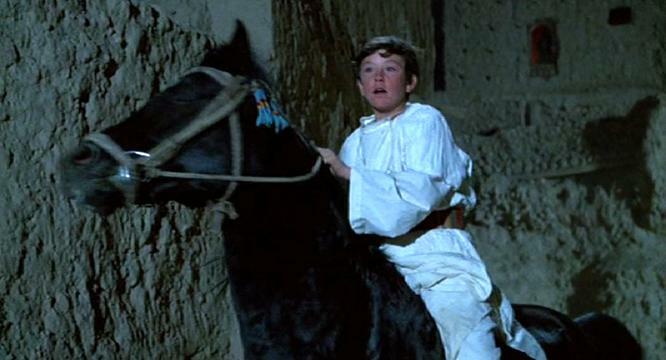 Robert Dalva, the cinematographer of the original film, brilliantly takes over the reins as director and finds the black stallion in the middle of the Moroccan desert. 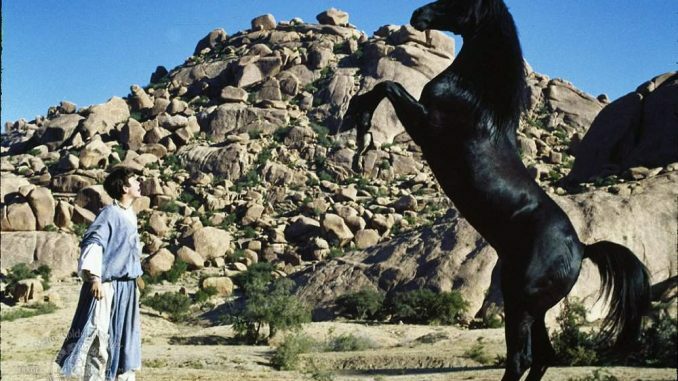 Capitalizing off the success of the original The Black Stallion (1979) film, producers including Francis Ford Coppola, devised a plan to create the sequel. The second film was inspired by the Black Stallion novels by Walter Farley, especially his second novel titled, can you guess it, The Black Stallion Returns. Jerome Kass and Richard Kletter penned the screenplay but who would direct this second crack at a family classic? Finding a director was as simple as looking into the editing bay of the original film. Robert Dalva, who went on to later edit such films as Jumanji and Jurassic Park 3, took on the role after editing the original. Kelly Reno, who plays young boy Alec in both Stallion films, returned along with many other cast members (even Cass Ole, the horse) who were instrumental to the feel of both films. Everything was set. Action was called! The Black Stallion Returns takes audiences across the world with Alec and his beloved stallion, Black. When we rejoin the main characters to begin this second adventure, they are living the good life until a sudden barn fire erupts, during which Black is stolen by a Sheik. Before too long, Alec is on a plane to Morocco to find his horse and bring him home. Nothing comes between a boy and his stallion. Numerous oddball situations across the desert (fights, flat tires and potential murder) lead Alec to race Black in what is called, after undoubtedly numerous brainstorming sessions, the “Great Race”. If Alec wins, he and his precious stallion will be granted safe passage home. A lot is riding on a perilous ride across the dessert. The Black Stallion and his boy race to a conclusion that will have you cheering until they finish line. The film does boast a gorgeous view of the Sahara. The climatic horse race itself was filmed over fifteen days with 100 horses and over 400 background actors on location. 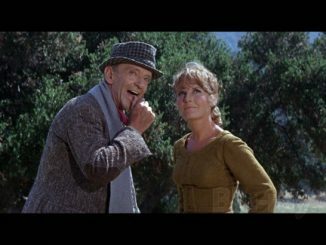 Shenanigans in the desert is the main theme throughout the film. 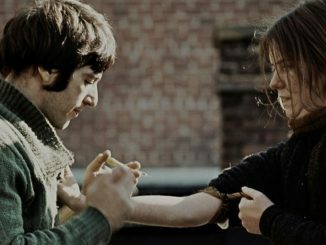 The story is a bit more unbelievable than the original but the love of Alec and Black stays true throughout every frame. The Black Stallion Returns is a stylized, beloved animal film that captures your heart that you can’t help but still appreciate. The bond between a boy and his horse keeps reining you back in. The Black Stallion Returns was released on March 23rd 1983. The sequel was met with many mixed reviews. Walter Farley’s Black Stallion series, with over sixteen books, will forever be a part of movie history thanks to The Black Stallion films. Spanning from the American countryside, all the way to the Moroccan desert, a boy and his horse will never be separated for long. Find yourself on another adventure with Alec and Black and purchase your copy of The Black Stallion Returns, available from Twilight Time Movies.